is only a few days away! The best of Zambia is exhibiting at the Show and we look forward to meeting you there. When Travel Africa’s editor, Lonely Planet author and intrepid traveller Matt Phillips, and his wife-to-be were choosing their honeymoon location, I guess it had to be Africa. But where? 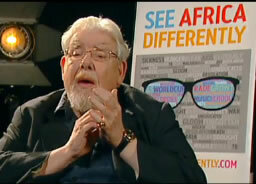 Not surprisingly Matt had been to quite a few, if not all, of the great destinations in Africa. They settled for the Lower Zambezi National Park in Zambia! And Matt voted it his all-time favourite safari destination! Why? Because in the Lower Zambezi you have “the ability to enjoy one of Africa’s most beautiful natural environments in so many different ways”. 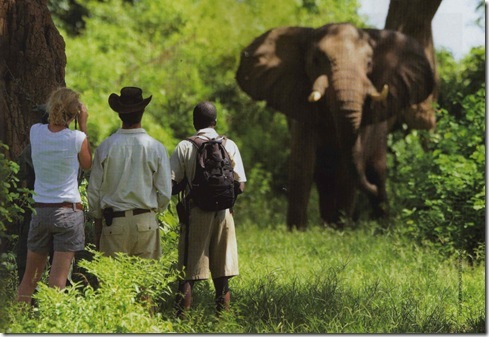 The Phillips stayed at Chongwe River House, Chongwe River Camp and Royal Zambezi Lodge. They flew from Lusaka to the Lower Zambezi with Proflight Zambia. To read Matt’s honeymoon article ‘A river runs through it’, subscribe to Travel Africa. Packed full of reviews, reports and great adverts, the latest Spring ‘09 Travel Africa also includes an article by Kate Humble on appropriate giving as you travel (we did a blog on her initiative last year). It is often said when a hurricane sweeps through a forest it knocks down a lot of the older, weaker trees. The younger ones survive and prosper. The micro level might just be the key…. Even if President Obama’s trillion $ economic stimulus were to work miracles, the benefits would take at least 12-18 months to trickle down to countries like Zambia. Citigroup has been warning that copper prices, which have gained over 36% over the past 2 months, are soon likely to lose steam. Against that high level of uncertainty in the future of the global economic dynamics, I think it is crucial to start preaching radical adjustments to peoples’ lifestyles. Africa may not have been party to the ignition of this problem, …. but it is engulfed in it. Lumwana Copper Mine in Solwezi, in Northwestern Province of Zambia, the largest open pit copper mine in Africa, went into operation on 17 April 2009. 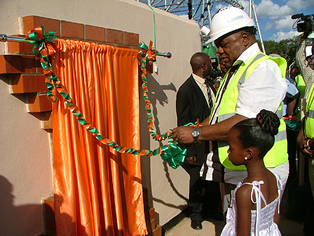 Commissioning the copper mine, President Rupiah Banda said “We are proud and feel indebted that during the twelve years of the project development, [Equinox Minerals] sacrificed to pump in one billion US dollars which includes the development of modern Lumwana town. This shows the trust you have in our mining industry regardless of the ups and downs,” he said. The random selection draw for the first phase of ticket sales for the 2010 FIFA World Cup™ took place last week. Over 500,000 tickets were drawn successfully. The most popular team was England and not surprisingly the most heavily oversubscribed match was the final – by a factor of 3,000 per cent. “We will continue to encourage other South Africans as well as fellow Africans to apply for their tickets during the second phase so as not to miss out on this once in a lifetime experience,” emphasised Danny Jordaan, CEO of the 2010 FIFA World Cup Organising Committee South Africa. The Best of Zambia online directory will shortly be featuring special World Cup news and tourist offers in Zambia. See our latest World Cup blog post. ‘The Africa They Never Show You!’ group on Facebook. “You’ve seen the images on tv about africa: the huts, the famine, disease, wars and suffering but they never show you that Africa is beautiful, has happy people and that not every part and person in Africa is poor…..PLEASE INVITE ALL YOUR FRIENDS TO JOIN THIS GROUP AND LET THEM TELL THEIR FRIENDS!! !” It currently has nearly 135,000 members.